This easy Candy Bar Cream Cheese Fruit Dip is delicious and perfect for parties and entertaining! 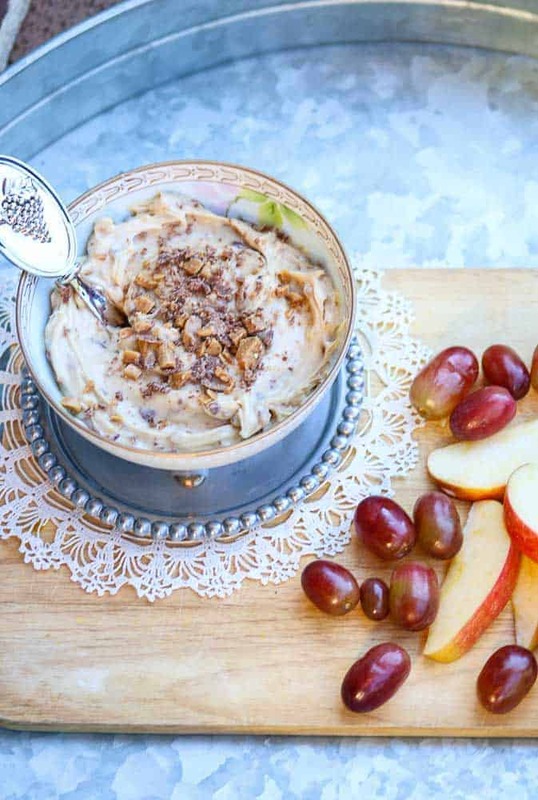 This Candy Bar Cream Cheese Fruit Dip will make your friends and family go CRAZY for more. Cream cheese, sugar, crunchy chocolate candy bars… what’s not to love? 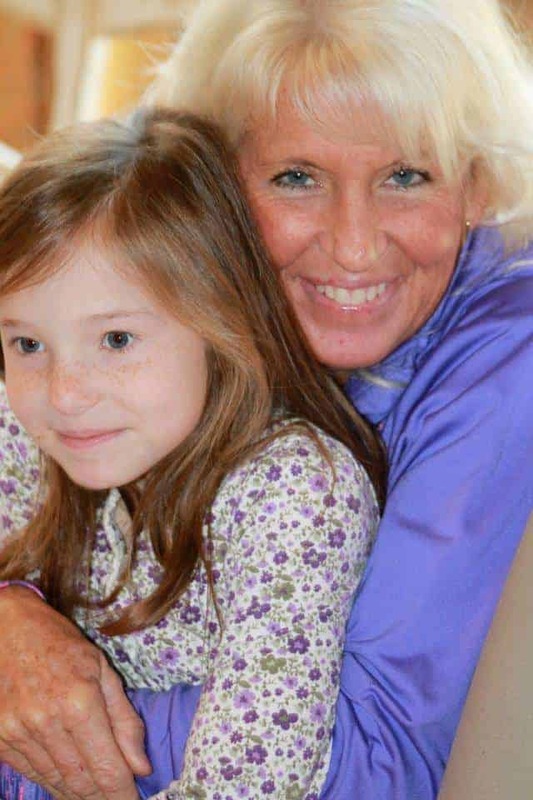 Aunt Debbie Moore with cousin Callie. 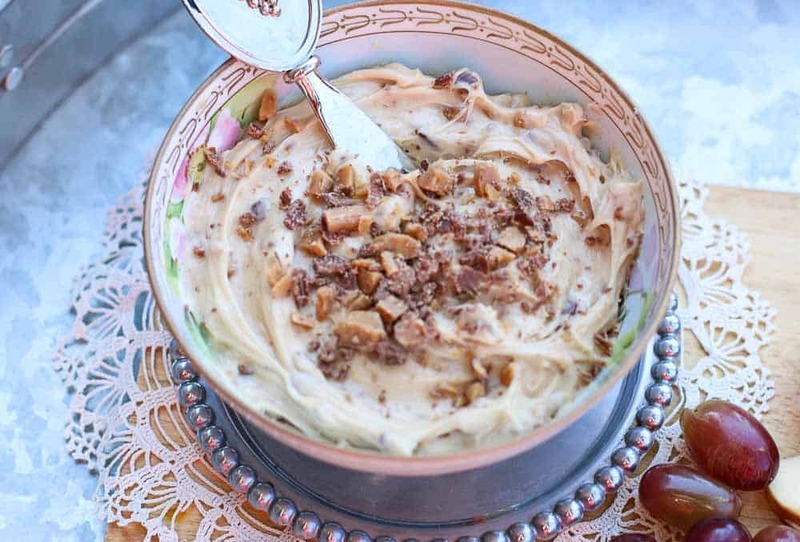 My husband’s Aunt Debbie, the “Queen of Sweets,” introduced our family to this amazing dip. She never visits empty handed without some kind of incredible sweet dessert. Her personality is as sweet as the treats she brings. She is the very same aunt that makes those fabulous Ooey Gooey Butter Bars I shared with you in an earlier post. 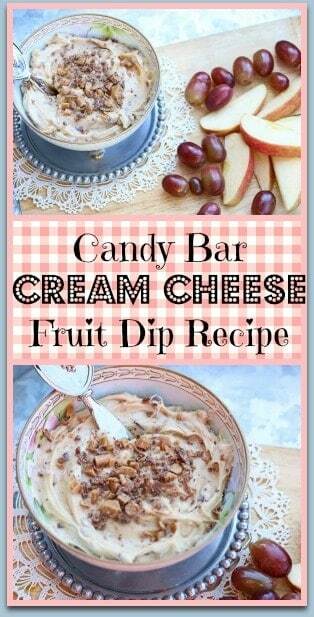 Every time she makes this Candy Bar Cream Cheese Fruit Dip our family goes wild over it. It is very addictive. But you can use any kind of candy bar in this fruit dip cream cheese. I have used Butter Fingers and I am sure Reese’s Peanut Butter Cups would be an excellent option also. I have made this candy bar cream cheese dip for several parties myself and my friends always ask me for the recipe. Now I am sharing it with you. I hope you like it just as much! If you like this recipe, check out Strawberry Cream Shortcake , Easy Southern Banana Pudding , and Mini Buttermilk Fig Cakes with Goat Cheese. For another fun sweet dip recipe, check out the yummy Edible Chocolate Chip Cookie Dough from The Baking ChocolaTess. 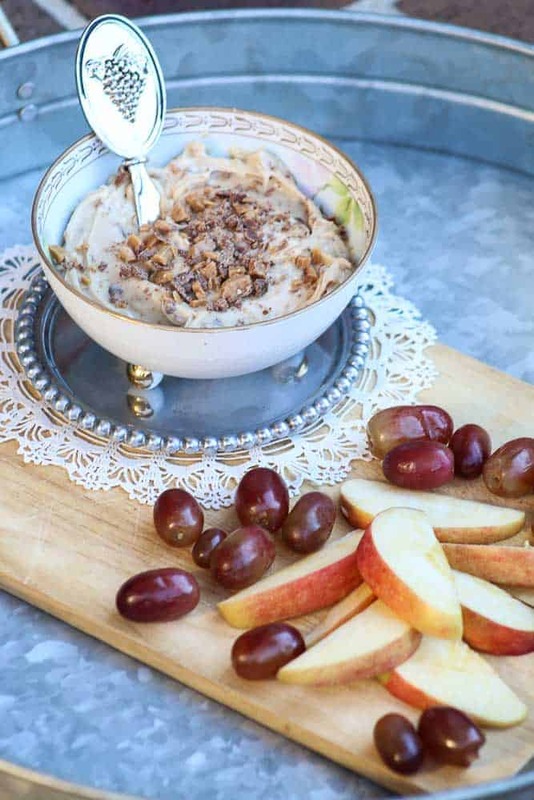 Candy Bar Cream Cheese Fruit Dip is delicious and perfect for parties and entertaining! This easy fruit dip will make your friends and family go CRAZY for more. Cream cheese, sugar, crunchy chocolate candy bars… what's not to love? *May substitute Heath Bars for other chocolate candy bars. Add the crumbled candy bars reserving 1 tbs. Top with reserved candy bars. Love it when you post family or friend’s recipes. Never heard of this kind of dip but I have a feeling that I would eat the whole bowl in one sitting with just a spoon (cream cheese and candy bars?? Is this heaven?). I like the idea of using butterfingers too. This looks so wrong but oh so right! Wow – what a great idea for a cream cheese dip. My kiddos would faint if I put this out for them to nibble, er, chow down on 🙂 It would be going on everything!! I bet it’s great with graham crackers, too 🙂 YUM!